Shaklee announced at the recent 2010 Global Conference four new products. Check out what is new. A delicious, chewy blend of fruits, veggies and whole grains in every bite. 100% natural and 100% delicious. 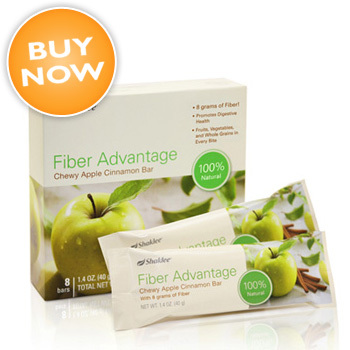 Shaklee Fiber Advantage Bars have everything your taste buds crave. Delicious apples, dates and whole grain rolled oats packed into each scrumptiously chewy, cinnamony bar. The best part? You get 8 grams of healthy soluble, insoluble and prebiotic fiber to help keep your digestive system running smoothly. Great healthy snack for the whole family. Gluten Free, Star K and Low glycemic. Good news for 1 in 3 American adults who have high cholesterol, there’s a way to lower LDL (“bad”) cholesterol naturally! 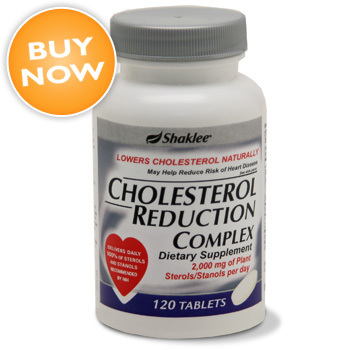 Shaklee Cholesterol Reduction Complex is a proprietary formulation with clinically proven ingredients that help prevent the absorption of cholesterol and lower LDL cholesterol. It’s made with a powerful blend of sterols and stanols, which are found naturally in plants, fruits, vegetables and grains, and these ingredients have been shown in more than 80 clinical studies to significantly reduce LDL cholesterol levels. Add some sunshine to your day with Vita-D3™! Recent research shows that vitamin D—the “sunshine vitamin”—offers a multitude of benefits including supporting healthy heart function, immune and bone health. But, depending on where you live, the time of year, and your skin color—you may be among the many Americans who aren’t getting enough of this essential nutrient. 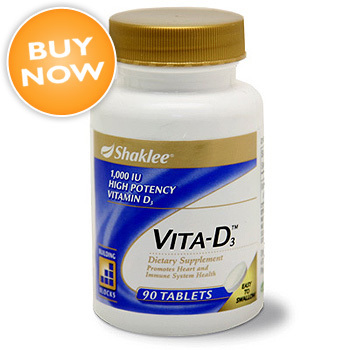 Boost your level of vitamin D with Shaklee Vita-D3. The perfect choice for overall health and well-being, Vita-D3 provides 1,000 IU of high potency vitamin D3 to help your body thrive! Be the first to try these new products. Click on the images above for more information and make your purchase. This entry was posted in Get Clean, Green, Products, Shaklee Global Conference Anaheim 2010, Vitamin Supplements, Vitamins and tagged Products on August 8, 2010 by Tom Leonard. Cars, cash, trips, and dreams. I just returned from my first Shaklee Global Conference. What a great event. There were so many friendly, positive, successful people all in one place – thousand of them! If a family can be defined as an association of people who share common beliefs or activities, then Shaklee definitely qualifies. Everyone I met had goals, experiences, and aspirations that I can identify with. I felt like I belonged. I belong to an amazing group. I met many of the successful business leaders in the same group to which I belong. There were a few familiar faces, but it was an opportunity to become acquainted with people I had only heard about before. It was like a family within a family. It is more fun being around positive people than negative ones. Everyone was upbeat, interested in learning new things, and excited about the changes in Shaklee. People were easy to talk with, genuinely interested in me and my Shaklee story, and were excited about continuing to build their business. Shaklee continues to improve the business opportunity. The Dream Plan announced by Shaklee is an exciting improvement to an already great opportunity. I don’t have years of experience to make comparisons with, but the Shaklee team seemed to “wow” everyone I talked to. Even the most seasoned veterans were telling me this was one of the most significant program changes they have ever seen. Shaklee continues to improve the product line. The new Fiber Advantage Bars, Get Clean Water filtration system, the FDA approved Cholesterol Reduction Complex, and Vita-D3 are incredible new products that will make people more healthy – and should be easy to use to impress new and existing customers. Shaklee people want to help each other. I would sit down at any table and start talking to people and quickly have things to talk about and discover many things I could learn. No one was “hoarding” their secrets to success – they wanted everyone to succeed. Success brings recognition as well as rewards. The top leaders were very well rewarded – highlighted by the line of new Mercedes Hybrid automobiles handed out. But success was recognized and rewarded at all levels, giving everyone encouragement to continue building their business. Shaklee International is a growing and exciting business. All of the international teams were well represented and recognized. The future of Shaklee Global is very bright, with a good foundation to build upon. Shaklee knows how to put on a great event. The venue, organization, and presentations were extremely professional. It made me feel like I was part of an organization that was confident and knew what they were doing. It would be difficult to come away from the Global Conference and not be impressed with Shaklee – both the people and the opportunity. Success breeds success. I can only imagine the sales volume the company is going to experience in the next few weeks! Also the underlying theme of the event was that no one gets to be successful by luck or connections. It is based on work, hard work. And this experience makes me – and I am sure many others – want to get busy right away. I want to be on that stage next year! If you were at the Conference, say hi and leave your comments below. I want to stay in contact. This entry was posted in Business Opportunity, Entrepreneur, Nutrition, Opportunity, Products, Shaklee Global Conference Anaheim 2010, Success and tagged 10 reasons, 2010 Anaheim Global Conference, shaklee on August 8, 2010 by Tom Leonard. The Shaklee Product line of natural vitamin supplements, green products for the home, weight management, and healthy beauty appeals to all ages. But for young entrepreneurs there are some products that can be particularly attractive. What are the best products for young people to promote? Shaklee Sports Nutrition products have been powering many of the world’s elite athletes to remarkable achievements for decades with several revolutionary formulas. Shaklee Physique® and Shaklee Performance® provide athletes with energy, hydration, and muscle recovery and growth. Healthy Energy plus Smart Focus. Energy Chews are packed with a whole lot of healthy attitude, the kind that gets your body moving, sharpens your mind and improves your mood. And all Shaklee products are from natural ingredients and a good way to make it through the day. Stress Relief Complex helps relax the body and mind, and promotes alertness while enhancing the body’s ability to adapt to everyday stress with all natural ingredients. Shakleekids provides a wide variety of the world’s best children’s supplements. If you or anyone you know has growing youngsters, they will appreciate these products, such as Incredivites and Mighty Smart, made from super-safe ingredients that bring out the best in your kids. Your body works hard to keep you healthy but the daily bombardment from environmental irritants and airborne pollutants can unbalance your immune system. Nutriferon is a clinically tested, natural interferon booster and is important to people of all ages. The Vita-Lea formula provides 23 essential vitamins and minerals. Taken daily, Vita-Lea promotes overall health and wellness and supports long-term colon, heart, and eye health, and strengthens the immune system. Multivitamin supplements are important for young people too. Losing weight can be important for anyone who has a few too many pounds. Many young people are struggling with their weight. Cinch provides a sensible, natural program that can make it easier to manage. Being overweight is one of the most important controllable factors in long-term healthy living. Clean Products for a Healthy Home. 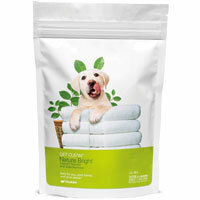 Shaklee Get Clean Products are safe for you, your home, and the planet. As everyone gets more environmentally conscious, using products that are green can be difficult to find, but Shaklee makes it easy. 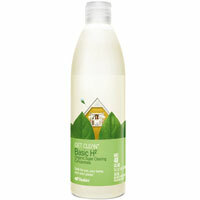 Basic H® has been around since 1960, and was one of the first environmentally safe household cleaners on the market. Today, millions of bottles later, it’s more loved than ever. Enfuselle® SPF 30 Sunscreen for Body. Sunscreen is important for active people of all ages. This natural formula is designed for all skin types, waterproof, and oil-free. Premature skin aging can be a direct result of too much sun so everyone needs protection. Why is an anti-aging formula important to young people? Because everyone knows older people who want to live a longer, healthier life. This revolutionary breakthrough in cellular anti-aging has been shown in laboratory studies to positively impact the four key mechanisms of cellular aging. These Shaklee products are valuable to people young and old, but for a young entrepreneur who is interested in building a successful Shaklee business these 10 items can be the most valuable when talking with their friends and family. For living a healthy life, you can never start too young! How Does a Young Entrepreneur Get Started? Join Shaklee. Start today by joining our Shaklee Team by registering as a Gold Ambassador. For only $349 you will receive over $500 in products and will be on your way! This entry was posted in Business Opportunity, Entrepreneur, Products, Young Entrepreneur and tagged Products, Vitamins, Young Entrepreneur on May 17, 2010 by Tom Leonard. 1. Stop living in a toxic home. Some of the most questionable chemicals used regularly in household products are ammonia, chlorine, phenols, dichlorobenzene, and formaldehyde and can be found under your kitchen sink. Basic-H is nontoxic and safe for your family. 2. Eliminate your ammonia based window cleaner. Basic-H cleans windows without streaking while being a great alternative to leading brands. 3. Everything and the kitchen sink. Basic-H cleans it all from kitchens and bathrooms to appliances, woodwork, mirrors, painted walls, and floors — it even does windows, so toss those single-purpose cleaners like sink and tile cleaners. From lipstick on a linen napkin to crayons on a painted wall, full-strength Basic-H comes to the rescue. 5. On the cutting edge. A few drops on your knife sharpener keep knives extra sharp. Be sure to rinse knives thoroughly after sharpening. Two tablespoons of Basic-H in a bucket of hot water lifts off old wallpaper. One tablespoon in a half gallon cleans sticky paintbrushes. Just soak for 24 hours and rinse in hot tap water. 8. Camping and travel companion. A sample-size bottle of Basic-H is all you need to keep clothes, dishes, and everything else clean. And you’ll help by keeping the great outdoors unpolluted. 9. Easy on the Planet. borates, nitrates, corrosive chemicals, or toxic fumes. 10. Less in the landfill. Basic-H is concentrated, so you’ll use fewer bottles of cleaning products throughout the year. Nontoxic, high performance, economical, and great for the planet. **Simple Green®, Fantastik®, and Windex® are registered trademarks of companies other than Shaklee Corporation. This comparison of label directions was made on March 13, 2006 and is valid only for the named products marketed at that time. Click here to learn more about Basic H and all of the Shaklee vitamin supplements. This entry was posted in Green, Home, Products and tagged basic h, Home, Toxins in the Home on May 14, 2010 by Tom Leonard. Times are tougher than ever. Money is tighter than it has been. These are all the more reasons to go green. It’s a simple equation Use Less = Spend Less! You pay less per use with concentrated cleaners. In fact, you’d have to spend more than $3,400 on major-brand cleaners to get the equivalent cleaning power found in the Get Clean Starter Kit. Visit your local library. Take the kids on a Saturday, have them pick out 2 of their favorite books, and return them next week! It’s free and it’s green. Carpool! If your drive to work is 25 miles each way and at least half is stop-and-go traffic, you’ll save almost 10 percent of your monthly carbon emissions by carpooling. Not to mention the gas dollars you’ll save. Run your dishwasher. It can actually help the environment while saving you time and preserving your manicure! Many studies show that dishwashers actually use less water than dishes by hand and you can save a ton of water, energy and money by only running the dishwasher when it’s full—especially if it’s Energy Star-approved. that is so powerful a pre-rinse isn’t required, and you earn extra eco-warrior points! Use Rechargeable Batteries. Investing in rechargeable batteries can save you some money over time. In general, the less you rely on single-use, disposable items, the less money you’ll burn through. Check Out the New CFLs. CFL bulbs use 80% less energy than standard incandescent light bulbs, and last up six to 10 times longer. You might not be aware of the newest designs from cutting-edge manufacturers, including a new range of pleasant color temperatures, dimmable CFLs, bug lights, 3-way models, candelabra and flicker tip styles and more. Turn Off Your Computer – Save energy, wear on your hardware and an average of $90 each year on electricity costs by shutting down your computer at night. The Department of Energy recommends shutting off your monitor if you aren’t going to use it for more than 20 minutes, and the whole system if you’re not going to use it for more than two hours. Bulk shopping is good for the environment because it reduces packaging and waste plus it means fewer trips to the market and less gas used so you save money. Save money and the planet, ounce by ounce with both Basic H2 Organic Super Cleaning Concentrate and Fresh Laundry Liquid Concentrate available in 64 oz. sizes. Jettison Junk Mail – Around 100 million trees and 28 billion gallons of water are used to send junk mail to Americans every year, according to greendimes.com. You can stop 75% of unsolicited mail by registering on the Mail Preference Service on the Direct Marketing Association website (for a fee of $1). Stop Idling – Idling for more than 10 seconds wastes more gas than is needed for startup. Overall, Americans idle away 2.9 billion gallons of gas a year, worth around $78.2 billion. Rather than going through rolls of paper towels, cut up old t-shirts and towels for cleaning rags. 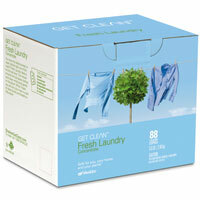 If DIY isn’t your cup of tea, try Shaklee Super Microfiber Cleaning and Window Cloths. They are ridiculously absorbent and can be washed and reused hundreds of times. Ditch bottled water! The cost adds up and the bottles pile up in landfills to pollute our planet. 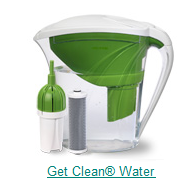 Save big bucks and keep waste out of the landfills by switching to filtered water. The BestWater® PerfectPitcher® is NSF-certified and serves up delicious, clean water that can be poured into a glass to be enjoyed at home, or a portable, reusable water bottle if you’re on the go. Washing out and using plastic storage bags can save more than $5 a week! This entry was posted in Green, Home, Products and tagged basic h, best water, clean, Green, Home on April 28, 2010 by Tom Leonard.